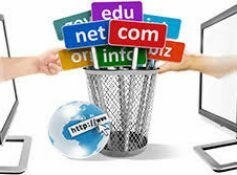 A Website comprises of its NAME (Domain Name), Files (data, design, functionality), Web hosting (Space to host files) and marketing (promotion of your website address so that number of people visit your website). We at Sasta Sauda Net fulfill all your needs for your online presence. Do not hesitate to Contact Us for any query related to your presence online. 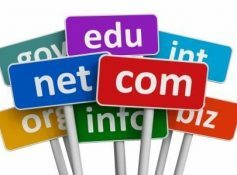 A domain name is your unique address on the Internet. Domain name registration allows you to take ownership of that domain name by registering it with an approved domain names registrar like Sasta Sauda Net do. Businesses typically Register Domain Names with their company name or their product names, while individuals often register domain names with their family names or names that have a personal interest to them. Domain names have two parts: the label and the extension, separated by a ‘dot.’ For example, in the domain name, www.sastasauda.net, ‘Sasta Sauda’ is the label and ‘net’ is the extension (also called the “top-level domain” or “TLD”). Now that you have your web site, you need to place it where the world can see it. Web hosting is a necessity for any Web site – it is the physical location of your Web site on the Internet, an online storage center that houses the information, images, video, and other content that comprises your Web site. 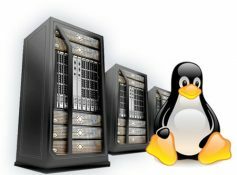 Web hosting service providers maintain the server where the data associated with your Web site resides, and also manage the technology that makes your Web site connect to the Internet. Web site hosting is typically measured in the amount of disk space you’re allotted on the server and the amount of data transfer or “bandwidth” you need for accessing the server. For example, if you have a lot of customer interaction at your Web site, such as files to download, you will access the server frequently and you’ll need more Web hosting transfer space than someone who simply puts readable text on their Web site. The more “items” or “content” you have on your site (i.e., photos, maps, PDF files, etc. ), the more disk space you’ll need for Web site hosting. Web hosting makes it possible for visitors to view your site’s content when they type in your domain name. But a Web hosting service accomplishes much more than that. It can help keep your site up — and running smoothly — 24/7. This is especially important in the competitive e-commerce marketplace, where interrupted availability may cause you to lose not only sales but also customers who will leave your site after a negative experience and potentially never come back. We at Sasta Sauda Net – provide all the services required to present you or your business on the net. Just Contact Us and we will register domain, design & host your website at affordable prices. Even if you are an individual and do not need to have your own website for expressing your views, talent, skill or writing a blog etc. How about having a email address of your own, like yourfirstname@your-last-name.us, you@your-family-name.in or your-surname@your-village.org etc. There are endless options to personalise your own unique email address, Rather than having something_otherthing4652@gmail.com or you.yourbirthyear-randomnumber@yahoo.co.in. Do not disclose lot f personal details in your email ID, just Register Domain of your own and family Email Plan to have personal email addresses. We at Sasta Sauda Net will setup the same for you if you require so.